National Cattlemen’s Beef Association (NCBA) Cattle Health and Well-being Committee Chairman Jimmy Holliman also commended the work of health officials and USDA to insure the food supply stays safe. “USDA’s ongoing BSE surveillance program has tested more than one million cattle since the program began. 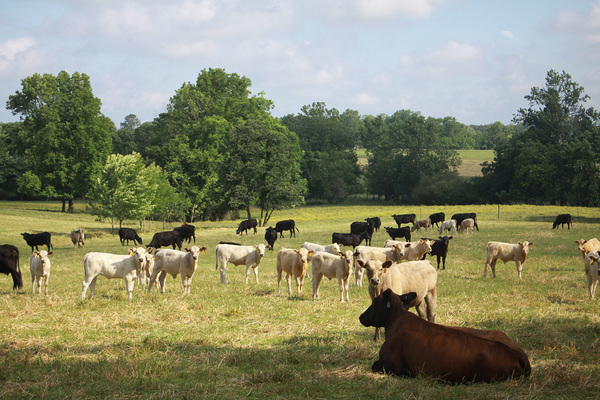 The incidence of BSE in the United States is extremely low, and will remain so,” says NCBA Cattle Health and Well-being Committee Chairman Jimmy Holliman. 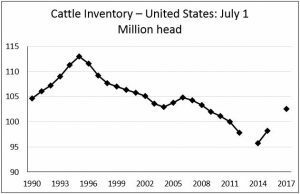 The July 1 Cattle Inventory report showed a 103 million head total for all cattle and calves in the U.S. Compared to other July inventory reports, this one ranks as the largest since 2008 in terms of total herd size. One key takeaway from this report is the size of the current and expected 2017 calf crop. This report estimates the 2017 calf crop will be 36.3 million head, a 3% increase over 2016. This would be the largest calf crop since 2007 and 73 percent of these 2017 calves have already been born. This implies 1.2 million head more calves to be born in 2017 than in 2016. For comparison, there were about 1 million more calves born in 2016 than in 2015. This July report is more difficult to measure than usual because we don’t have a July 2016 report for comparison. This clouds measures of herd expansion. Comparisons of the herd size between the July and January reports should be done with extreme caution as the methods used are different and the reports are at different times in a seasonal industry. The July report will always show a larger number of total cattle because significantly more calves are born in the Spring than in the Fall. In summary, this report tells a lot of what we thought we already knew. We are going to have more calves flowing through the system than we have had in a decade. However, demand has outpaced supplies in the first part of 2017 to provide support for stronger prices than expected. That storyline will remain a key driver of prices in the second half of 2017. Wilson County Cattlemen's is hosting a blood drive for their community on July 28th from 12 p.m. to 6 p.m. at the Wilkinson Extension Office. 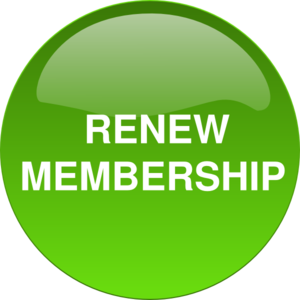 For more information contact the extension office at 601-888-3211. Cash traded fed cattle prices were mostly steady last week. Live cattle were down 15 cents to an average of $119.33 while dressed steers were down 34 cents to an average of $189.74. Feeder cash prices were higher last week in Mississippi. 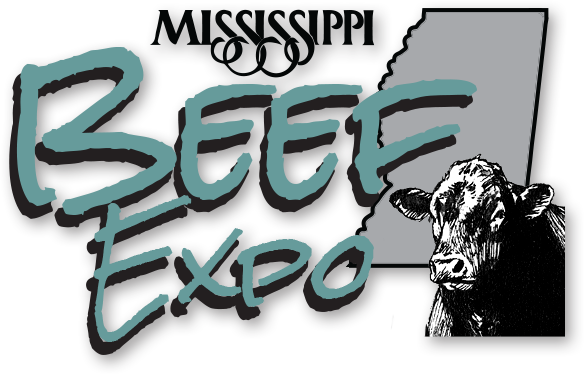 Mississippi feeder steers weighing 450-500 pounds were up $1 to an average of $153.50 while 750-800 pound steers were up $1.50 to $130.50. Average feeder prices last week in Oklahoma City were at $171.87 for 500-550 pound steers and up $3.02 to $153.24 for 750-800 pound steers. Futures prices were lower at the end of the week. August live cattle were down $1.63 to $116.43 while October live cattle were down $1.43 to $117.40. August feeder cattle were down $1.85 to $152.95 while September feeder futures were down $1.50 on the week to $153.15. Corn futures prices were lower with September and July down a nickel to $3.72 and $3.85, respectively. 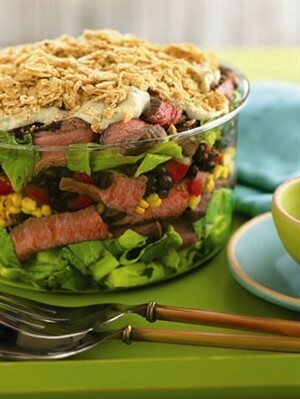 Boxed beef values fell further last week. Choice boxes averaged $207.88, down $5.05 from a week ago. Select boxes averaged $195.39, down $3.53 from last week. The choice-select spread shrunk to $12.49, down $1.52 from last week. Note: all cattle and beef prices are quoted in dollars per hundredweight and corn prices are quoted in dollars per bushel unless stated otherwise. For more on cattle markets visit Dr. Maples blog post online.